Since we're at A&W.How 'bout a foot long cheeze coney with everthing !! A nice spicy piece of dried meat........either deer or beef would be juss right! 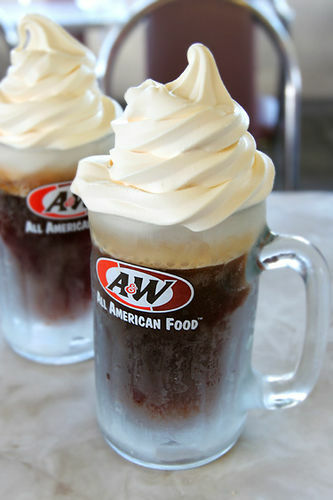 I'm still longing for that Root Beer Float. Can we get some onion rings with that? make that a Cherry Coke. A huge chef salad with Thousand Island dressing.....please don't forget the croutons!